Greetings Adventurers! Starting today, you can find a new Insignia Pack in the Zen Market. 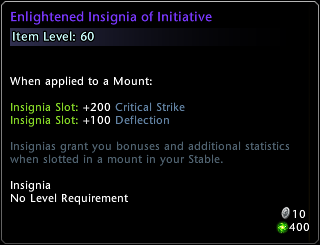 We are also introducing new Insignias in the game. 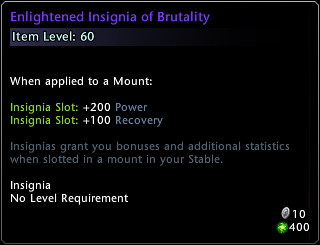 The New Insignias* available are available in all insignia slot types (Barbed, Crescent, Enlightened, Illuminated, and Regal) and stats are the same across all slots. *Tooltips display Rank 3 (Purple) Insignias. Insignias are available in Green, Blue, and Purple (Ranks 1-3). 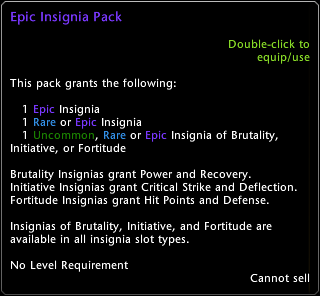 Note: New Insignia Pack is currently only avalable on PC but will be made available on Console at a later date.